Recital 2019 items are on sale to pre-order and will be available for pick-up at the recital on June 8, 2019. Please disregard any notes that say that item is available for pick-up in 5 days, that's a default feature that can not be changed. Includes recital t-shirt, teddy bear, 3-rose bouquet, happy ad in the program,and participation trophy. Items will be available for pick-up at the recital on June 8, 2019. 2019 recital t-shirt with cast list on back that includes all students' names. Available for pick-up at the recital on June 8, 2019. Recital Teddy Bear wearing a 2019 recital t-shirt. Available for pick-up at the recital on June 8, 2019. Advertise to over 2000 local attendees and families! We offer a 1/4 page or business card color advertisement in the 2019 recital program. E-mail artwork to info@mandasdance.com. Advertise to over 2000 local attendees and families! We offer a full page 1/2 page color advertisement that will be featured in the 2019 recital program. E-mail artwork to info@mandasdance.com. Advertise to over 2000 local attendees and families! We offer a full page 8.5 x 11 inch color advertisement that will be featuredin the 2019 recital program. 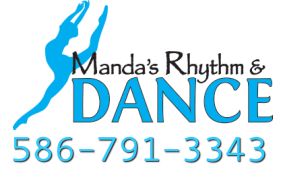 E-mail artwork to info@mandasdance.com.